Long before the fur trade, there was seasonal fishing. From the very early 16th century, men from Normandy, Brittany and even from the Basque country sailed the shores of Newfoundland to fish cod and hunt whale. Around 1550, some 500 ships set sail from France to seek these waters teeming with fish. Peter Pope recalls the different phases in the history of fishing in New France. Beginning with the first expeditions, he describes the establishment of Basque and Breton fishing communities along the western and northern coast of Newfoundland, and on the Saint Pierre and Miquelon archipelago. 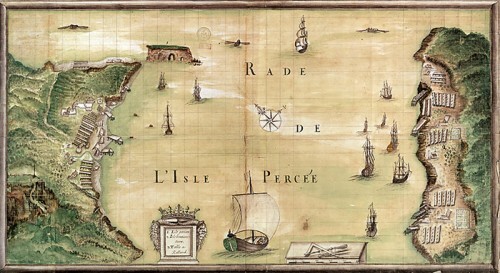 Together these communities formed the royal colony of Plaisance. After presenting the plentiful fisheries resources in North America, the author describes various fishing sites, the strategies used to catch cod and the methods of preserving it. Fishing was a very active sector of the economy in the 16th, 17th and 18th centuries because of the liturgical calendar of the Catholic Church, which required numerous fast days on which the eating of meat, but not fish, was forbidden. On signing the Treaty of Paris in 1763, France retained fishing zones in the region.